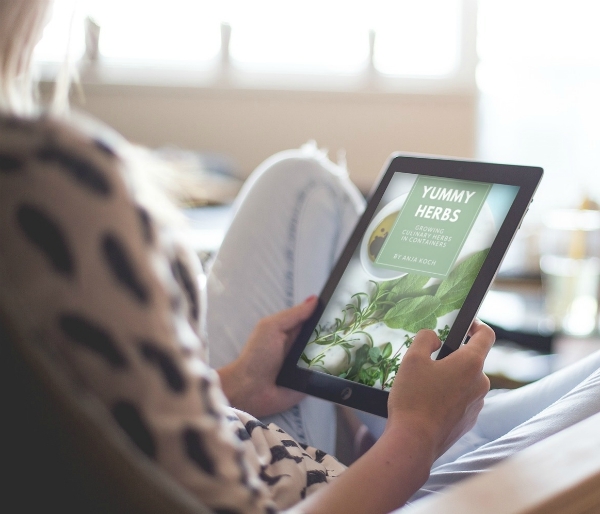 Once you are used to having fresh herbs available for cooking all the time you will want to make sure that you have a supply ready for the winter months. Freezing herbs is a great and easy way to accomplish that. 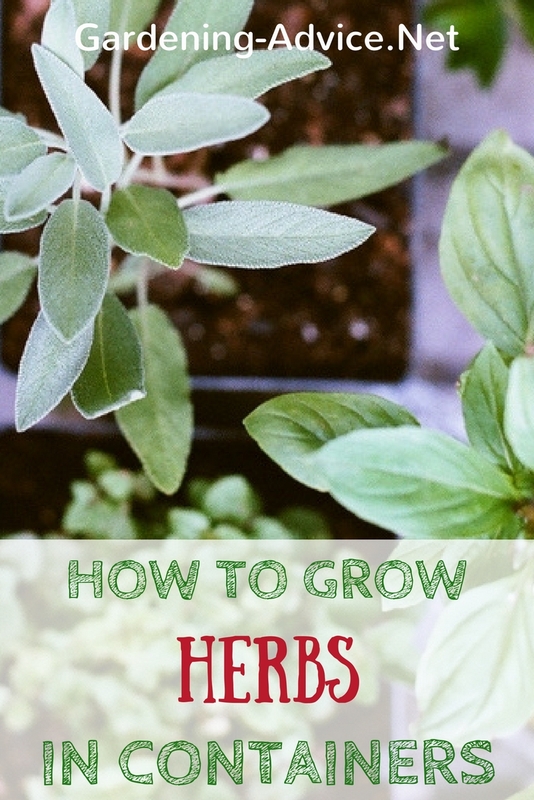 Even if you grow herbs only in a small scale you will be surprised how much of them you can save. You might also have surplus herbs during the summer that will go to waste if you don't preserve them for later use. 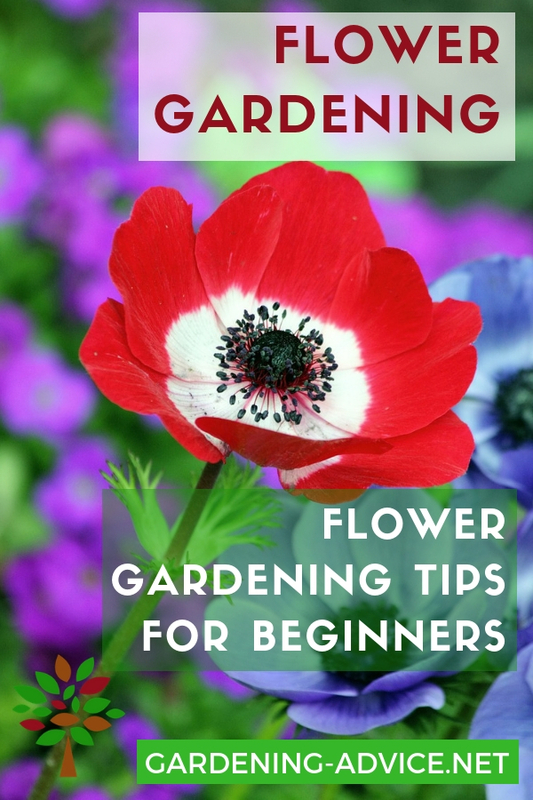 Allow young plants to build up and grow to a good size before you start taking anything off them. 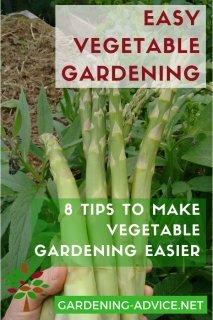 If you start harvesting too soon you will weaken the plants and they will grow and mature very slowly. Being patient and waiting will pay off in the long run. Never take all the shoots off a plant unless you plan on discarding it afterwards. Herbs like Basil, Savory or Oregano will re-grow again if you cut them down to a height of 3-4 inches. 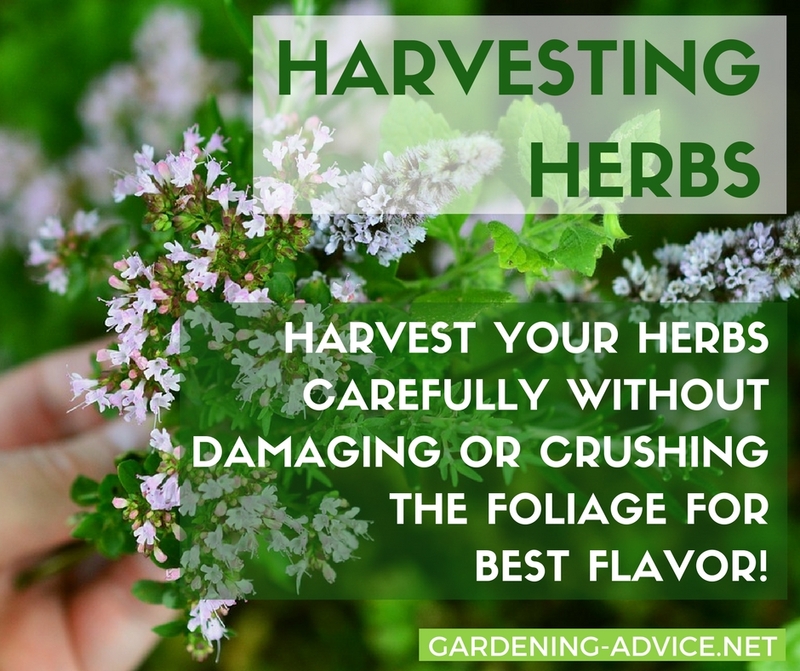 Harvest your herbs carefully without damaging or crushing the foliage. This will ensure that the flavour stays at its best. Use a sharp knife or a pair of small scissors for this. Also important is to process your herbs immediately afterwards. Don't leave them lying around for hours. Take only the young, soft shoots off the top from herbs like Tarragon, Mint or Lovage. Lemon Balm, Oregano and Mint will benefit and grow fresh new shoots if you remove some of the branches at ground level. From woody herbs like Rosemary, Thyme or Sage you should never take more than one third off a shoot. If you cut too low into the woody part the plants might not recover from it. 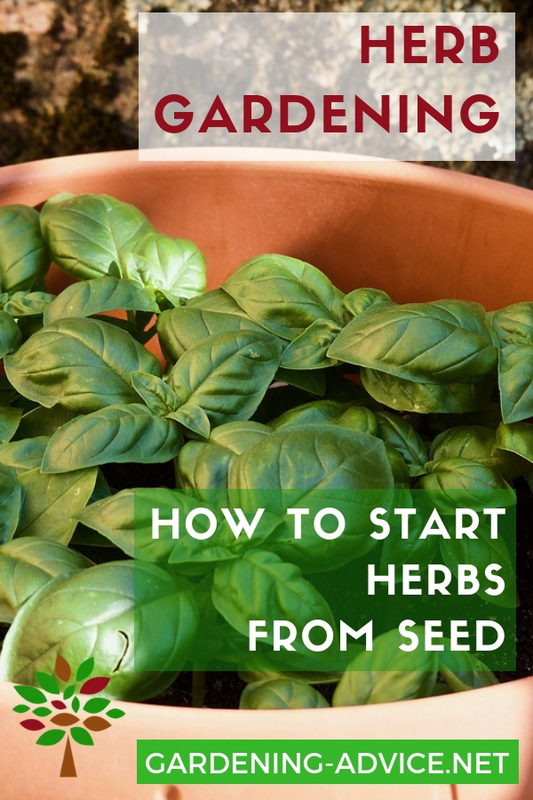 The best harvest time for harvesting herbs is around noon after the plants have dried up. Choose a sunny day for it. The essential oils in the plants that give the flavour will be very high and you will have the best quality. Prepare the herbs for preserving: shake the herbs a bit to get rid of insects and other creepy-crawlies. Check also the undersides of the leaves. Wash the herbs only if they are dirty and dry them off well afterwards on a clean towel. 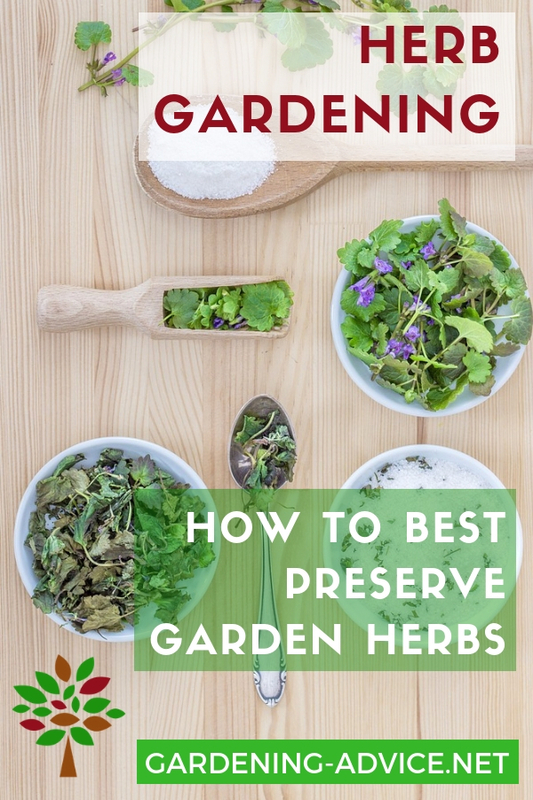 There are several different ways to preserve herbs depending on which one you are preserving. You can dry, freeze, salt or marinate herbs to preserve their flavour. It depends on the type of herbs and your personal preference which way you choose. Freezing herbs is my preferred method of preserving because it is so easy and quick. You can freeze them in small portions and just take out what you need when you are cooking. Frozen herbs can just be added to your dishes while you are cooking. The only time you may want to defrost them before using them is when you do something like salad dressings. Ice cube trays are very useful for freezing herbs. Chop the herbs and portion them into the tray. Put a little bit of water in it just to cover the herbs and pop them into the freezer. After freezing remove them from the ice cube tray and put them into a Ziploc bag. This makes using them so easy and you will have dishes that taste of summer in the middle of winter! 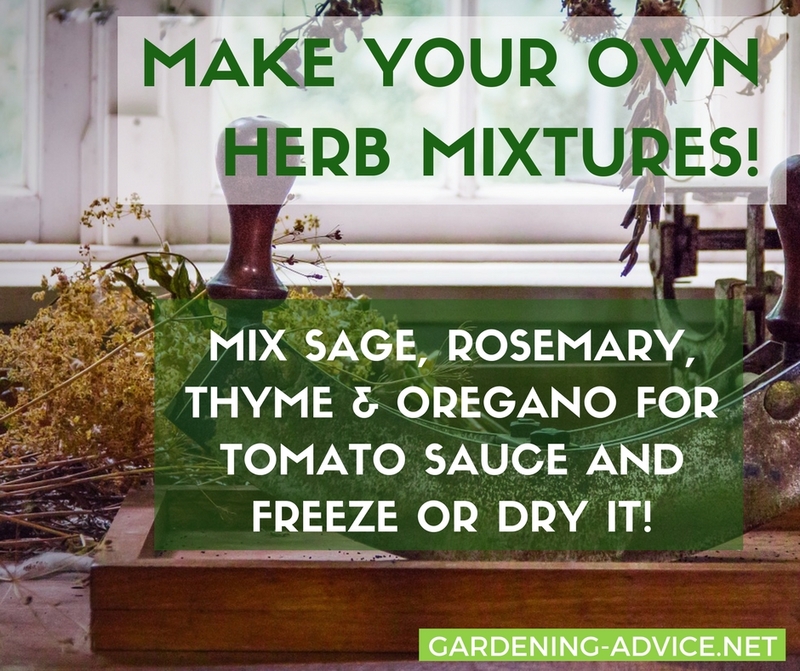 For example if you like cooking tomato sauces with herbs make a mixture of Sage, Thyme, Rosemary and Oregano and freeze them in the ice cube tray. You now only have to take on cube out of the freezer to have a great tasting pasta sauce. Basil is best frozen individually because it should be added after cooking. If you cook basil it completely loses its flavour. This is another very easy way to preserve your herbs for the winter particularly if you are under time pressure. The nice part about this way of freezing herbs is that you can place the twigs and all into the freezer bag. After freezing just crush the herbs with your hand and remove the twigs. You can now either leave them in the bag or put them into plastic containers into the freezer. This is probably the oldest method of preserving herbs. It nearly as easy as freezing. 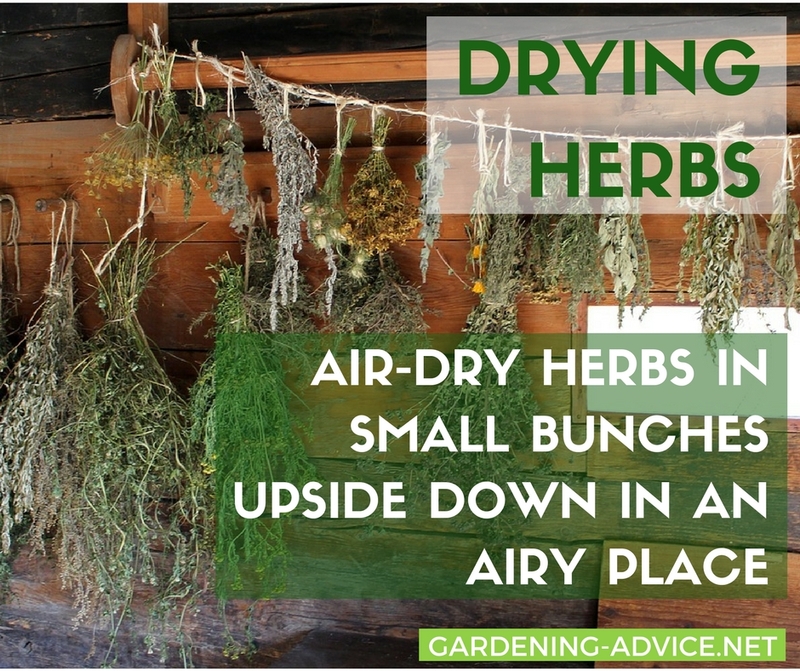 For air-drying tie your herbs into a small bunches and hang them upside down in shaded but airy place. Just remember that the kitchen is not a good place for this because of steam and grease in the air from cooking. Individual leaves can be dried on sheets or towels in a shaded but warm place. Once they have dried you can crush them up and store them in airtight containers. Drying herbs in the oven: If you don't have a suitable place for air-drying you can also use your oven or dehydrator. Place them onto a sheet or rack and heat your oven up to 50 C/122 F. It is important to leave the oven door open a little bit so the moisture can evaporate. Your herbs should keep a nice green colour. If they turn grey or brown the oven was too hot or they were in there for too long. This would impact on the flavour of course so keep a close eye on them. The time in the oven varies depending on the moisture content and the type of herbs you are drying. It is best to do only one variety at a time to have an even result. Buy a good quality vinegar or olive oil for this method. The best vinegars to use are cider or wine vinegar. If you use some nice decorative bottles this even makes a nice present! The herbs flavour the oil or vinegar which can be used for salad dressings. The oil can also be used in cooking. Pick some nice looking twigs and wash them carefully. Dry them well before placing them into the bottles and fill them up with the oil or vinegar. Important is to cover the herbs completely so they are not exposed to air. 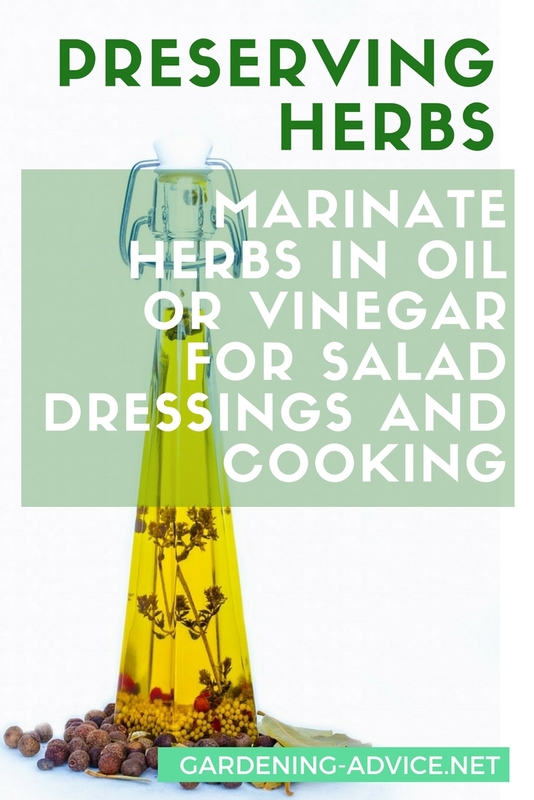 Once you start using the oil or vinegar remove the herbs from the bottle or keep it topped up. To make the oil even more flavoursome you can add garlic cloves, chilies and peppercorns. Place the vinegar bottles for two weeks on a sunny window sill before using them. The oil has to be kept for four weeks in a warm place to take up the aroma from the herbs. For salting herbs you need a wide, sealable container and a good quality sea salt. Parsley and Lovage are great herbs for producing a herb salt that will keep for up to two years. You can use this salt instead of regular salt for cooking. 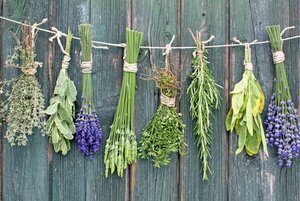 Wash and dry your herbs. Then chop them and layer with the salt into the container. Tap down each layer with a spoon. 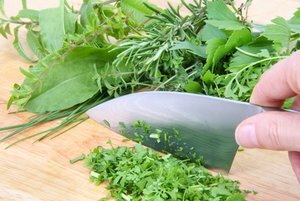 Use one part of salt to five parts of herbs.